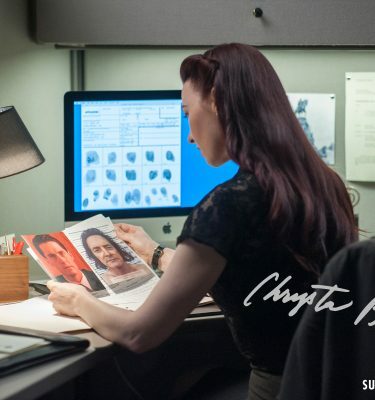 especially for lovers of all things Chrysta Bell. Click the +button to learn more or scroll to the bottom for a full description. Be courted by a lover from the Great Beyond(Blue Rose), compelled into deep and tumultuous waters of passionate relationships(Undertow and 52 Hz) and feel overcome by the brutality and elation of it all(Everest). The EP was produced by my long time musical collaborator, band mate and fellow Texas native Christopher Smart, with the exception of “Undertow”, produced by celebrated composer, producer and engineer, Alex Silva(Suede, Manic Street Preachers, Imogen Heap). The Chrysta Bell EP retains the sensual and ethereal qualities of my 2 albums with David Lynch. It also continues on the trajectory of the elegant and artful pop of We Dissolve, my 2017 release produced by John Parish. The EP was recorded in February of 2018 at Ice Cream Factory Studios in Austin, Texas, by engineer Matt Parmenter and mastered by grammy-award winning engineer, Joe LaPorta at Sterling Sound. Frontside: Chrysta Bell ‘Eyes’ Steam & Lace Postcard(vintage style). Backside: Blank back (with words “Nothing in this great big world like you and me” in small text at bottom of card). Perfect for sending to that very special someone as a surprise love note in the mail. Photography by Candice Ghai. 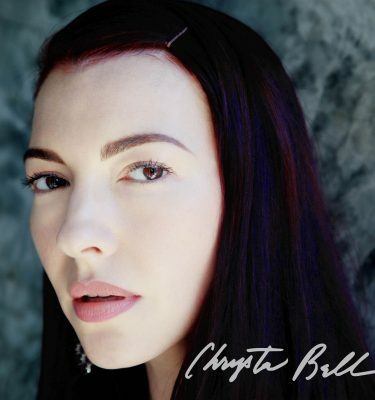 Newly released portrait, signed by Chrysta Bell. Photography by Candace Ghai. 8×10, glossy photographic print. First edition vinyl sticker with logo design by David Lynch. Explore more of the cosmic and dreamy imagery that photographer Candice Ghai and I created to accompany the EP and get the full lyrics for all the tracks. Coveted, rare Chrysta Bell #Gottalight Matchbook with code for a free song download and a secret message inscription. One of four digital photographs, high-resolution, to be used as wallpaper art for your computer or printed as a poster. Remix by Tom Trago. Digital file will be included on the Blue Rose 8GB USB Key. Unreleased track from We Dissolve sessions. Digital file will be included on the Blue Rose 8GB USB Key. Gravity Piano Ballad Remix by Christopher Smart featuring Geoff Downes on keys (from We Dissolve sessions). Digital file will be included on the Blue Rose 8GB USB Key. Personalized Polaroid – My visual love note to you. Your name will be on my heart! I really love polaroids and I look forward to dedicating one to you. 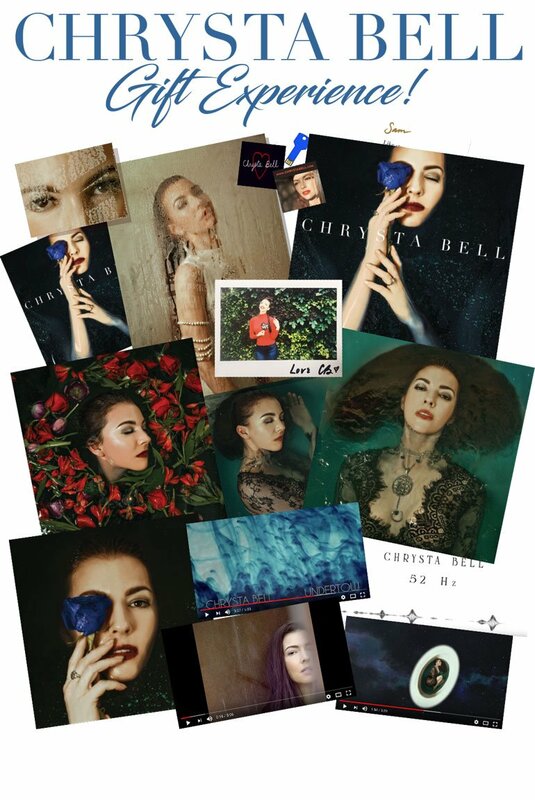 Chrysta Bell #gottalight Matchbook – A coveted, rare collectable book of matches with photography by Kristen Cofer, code for free song download and secret inscription from me. Light a candle with the matches to set the mood as you listen to the music. First Edition Chrysta Bell sticker – High quality vinyl sticker created for the very first Chrysta Bell European tour in 2012. Art by David Lynch. Stick it someplace good where you see it all the time. Steam & Lace Vintage Style Postcard – With photograph by Candice Ghai on front. The back is blank (although it has small text at the bottom that reads, “Nothing in this great big world like you and me.”) Perfect for sending to that very special someone as a surprise love note in the mail. Steam & Lace Glossy Print (Signed – 8 x 10 ) – High quality print with an autograph. 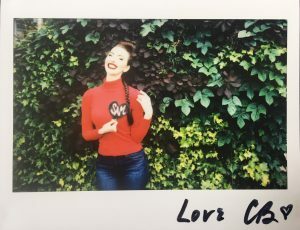 EP Description : Chrysta Bell returns to her home state of Texas to complete her most nuanced, emotional and personal release to date. “There’s something about the infinite skies of Texas that make me feel like anything is possible,” she muses. 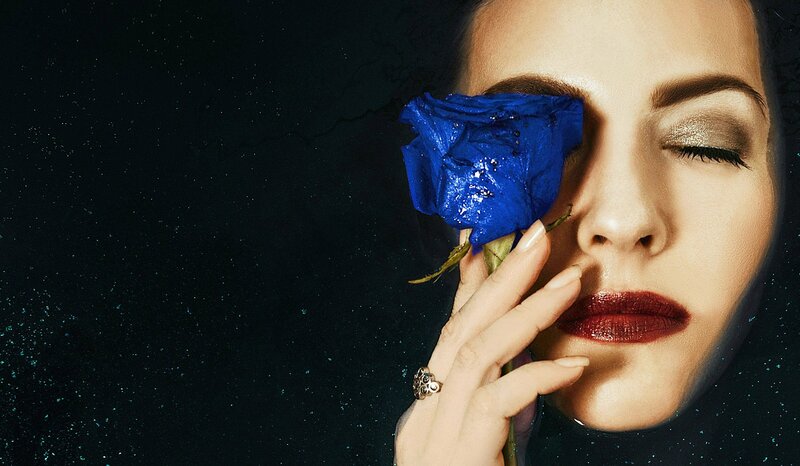 Her eponymous new 4- song EP, Chrysta Bell, is about being courted by a lover from the Great Beyond(Blue Rose), being compelled into deep and tumultuous waters of passionate relationships(Undertow and 52 Hz) and feeling overcome by the brutality and elation of it all(Everest).The EP was produced by her long time musical collaborator, band mate and fellow Texas native Christopher Smart, with the exception of “Undertow”, produced by celebrated composer, producer and engineer, Alex Silva(Suede, Manic Street Preachers, Imogen Heap). 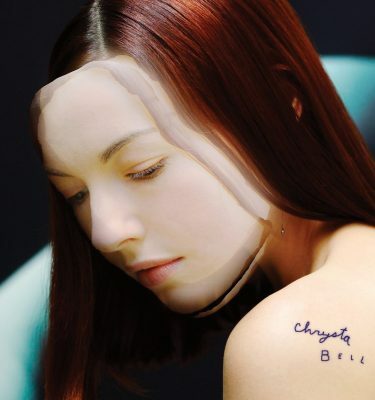 Chrysta Bell retains the sensual and ethereal qualities of her 2 albums with David Lynch. It also continues on the trajectory of the elegant and artful pop of We Dissolve, her 2017 release produced by John Parish. The EP was recorded in February of 2018 at Ice Cream Factory Studios in Austin, Texas, by engineer Matt Parmenter and mastered by grammy-award winning engineer, Joe LaPorta at Sterling Sound. As you take in the music, explore more of the cosmic and dreamy imagery that photographer Candice Ghai and I created to accompany the EP and read the full lyrics for all the tracks. I like to say that songs have their own destinies. There is a process that unfolds before they go out in to the world. You might be surprised at the evolution of the tracks when you hear the demo songs Chris Smart and I recorded at his home studio before heading into the Ice Cream Factory. All of my red wine and dark chocolate fueled vocal takes were recorded after midnight in a closet stuffed with vintage men’s suits, vintage leather motorcycle jackets and belts. Lots of belts. You can visualize that as you listen. The music is given gentle visual stimuli. I appreciate “listening videos” because the subtleties of the visual don’t overcome the music, but add just enough to let your imagination take over.